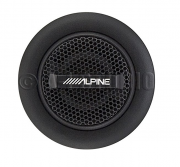 The Alpine SPS-110TW component tweeter borrows some Type-R technology like a copper-clad aluminum voice coil, copper shorting cap, high-grade neodymium magnet, and aluminum bobbin. These features mean that the Alpine SPS-110TW deliver best-in-class power handling of 100 watts RMS and 300 watts peak, so turn up the volume! The Type-S component tweeter borrows some Type R technology like a copper-clad aluminum voice coil, copper shorting cap, high-grade neodymium magnet, and aluminum bobbin. These features mean that the SPS-110TW deliver best-in-class power handling of 100 watts RMS and 300 watts peak, so turn up the volume! 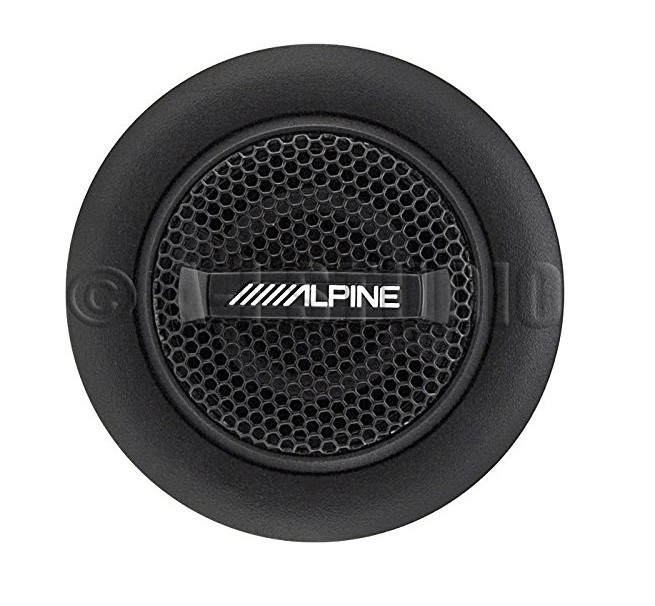 The small in-line crossover network provides a 12 dB/Octave slope and uses high-grade electrical components for clean sound. It’s small size also makes installation a snap. The SPS’s 1” pure silk dome tweeter diaphragm is designed for wide frequency range and high efficiency, while never sounding harsh or shrill. The Type-S Component tweeters include a removable logo, so you can go for a high-profile look or keep it stealth… your choice. Type-S Component tweeters come with a 15-degree swivel flush cup mount and and stealth OEM mount for easy integration into any car. Plus, at only ¾” deep (flush mount), they will fit virtually anywhere. 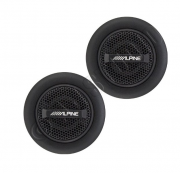 The same great tweeter that is included with the Type-S Component speakers is now available as a separate component. 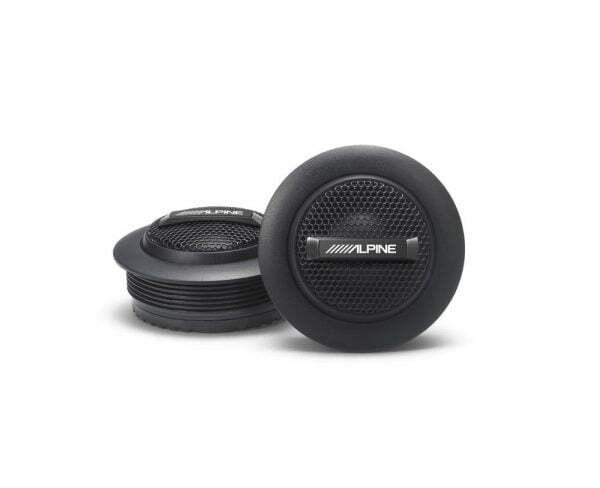 Now you can add on an efficient, affordable tweeter to any OEM or aftermarket sound system with ease.